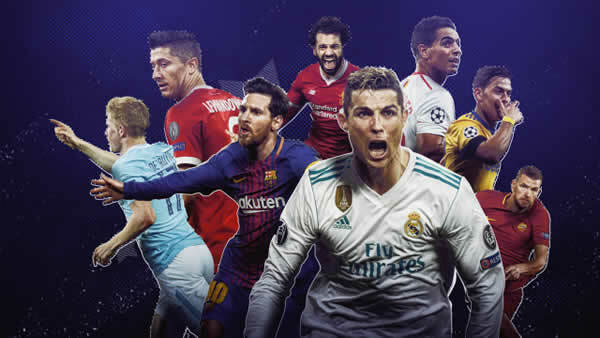 It is that point of the UEFA Champions League where legal online betting becomes difficult given the quality of each squad left. There is the occasional blowout, but most quarterfinal matches are unpredictable. Many soccer betting analysts pick matches to end by a draw or separated by one goal, but with the offensive forces left in the running, there is potential for a lot of goals. Today’s matches see Liverpool host Manchester City and Barcelona host Roma. Barcelona is expected to defeat Roma by at least 2 goals. The over/under is set at 3 goals total. The La Liga leaders have a talented squad with arguably the best player in the world. Atop this list of players is none other than Lionel Messi. The soccer star is the second-leading goal scorer in UEFA Champions League history and will have numerous opportunities to add to his tally over the Italian side. Luis Suarez has yet to make an impact in the Champions League this year, but the Uruguayan forward has the quality to bounce back on the world’s biggest stage. The Catalans had a poor performance against Sevilla in La Liga in their last game, but still came out with a draw. Now, they face a Roma team that plays well away from home. They are also strong on set pieces with Edin Dzeko, Kostas Manolas and Federico Fazio available. These 3 players are quite tall and able to make the most of free kicks delivered by Aleksander Kolarov. If Roma want to win this first leg, they need to pounce on a Barcelona team left scrambling after their last game. In England, we see a quarterfinals matchup of domestic rivals in Liverpool and Manchester City. City are the favorites by 2 goals and it is easy to see why given their performance in the EPL this season. City have an opportunity to win the league soon and wish to add a Champions League title to their collection. Kevin De Bruyne, Raheem Sterling, Gabriel Jesus and David Silva are just a few names on this deep squad. They have been blowing out teams by multiple goals this season, though they face a tough side in Liverpool. Liverpool defeated City 4-3 earlier this year and it was mainly due to their aggressive press. With the speed of Sadio Mane and Mohamed Salah, Liverpool relies on the counter and their high press allows them to quickly turn from defense to offense. Liverpool is also good on set pieces with Virgil van Dijk in the lineup. City has a shorter team, so height will play an advantage here. For City, Jesus must shine in Aguero’s absence. The midfield will need to conduct business as usual, which likely won’t be hard with De Bruyne and Silva. Their main focus should be dealing with Liverpool’s press and minimizing their fast attackers. City will be playing away from home, meaning they will be in a lively Liverpool atmosphere. They must cancel out the noise and focus on their game plan if they are to advance. Both games begin at 2:45 p.m. EST. If you are engaging in soccer betting, there are multiple prop bets available for each game. These are in addition to the spread and money line bets. Barcelona and City have the best odds of winning, but both Roma and Liverpool can pull off the upset. Who Will Advance In The Champions League Round Of 16?